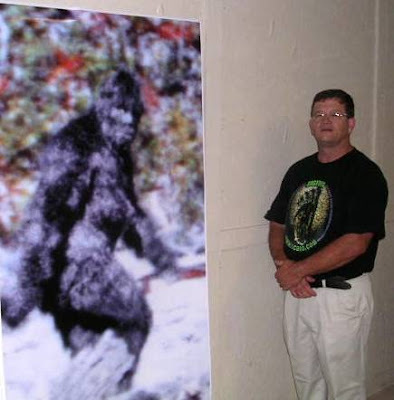 TYLER - After Daryl Colyer and his wife left a southeast Texas baseball game one night in 2004, Colyer says they actually saw what many call "Bigfoot." 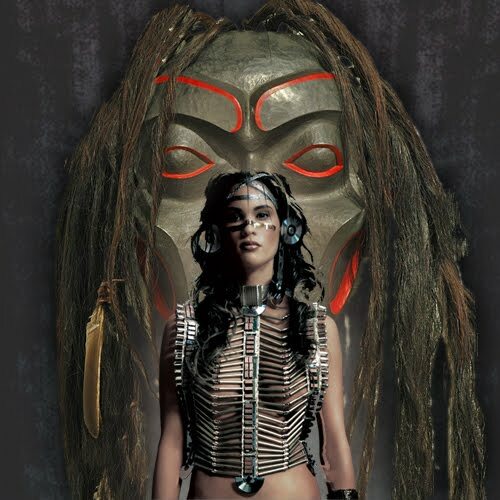 "I saw this figure, about 40 yards in front me jump across the trail. It was upright, the size of a man, covered with reddish brown hair from top to bottom - jumped across the trail, took a little skip-hop into the woods," Colyer said. 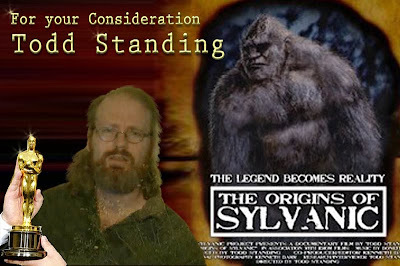 But Daryl Colyer isn't your average Bigfoot enthusiast. He's a Bigfoot investigator and vice-chairman of a non-profit organization called the Texas Bigfoot Research Conservancy. On Saturday, the 10th Annual Bigfoot Conference was held in Tyler. Apparently East Texas is a hotspot for Bigfoot sightings. "East Texas is the part of Texas where most of the reported sightings come from. 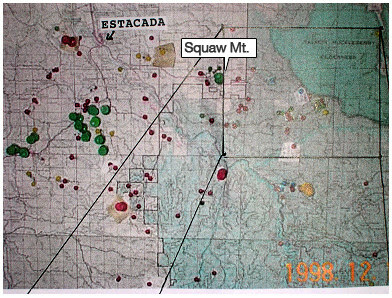 In fact, I would say as many as 90% of the reported sightings that we deem to be possibly legitimate reports are from East Texas," Colyer said. Jack Wheeler and his friends attended Saturday's conference - they all believe "Bigfoot" exists - they just aren't sure what one might really look like. "I think there's definitely something out there, I don't know if it's like a big huge hairy thing that attacks people, but there's probably something out there," Wheeler said. "Out there" according to Daryl Colyer is 65 million acres of timberland in Texas, Oklahoma, Arkansas and Louisiana. That's roughly the size of the state of Oregon. Plenty of places for the nocturnal primates to hide, Colyer says. 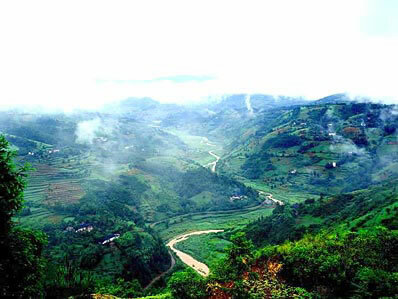 "It's a big world, and you know we're pretty much stuck in the cities and the interstate highways. There's a lot of timber out there," Colyer said. 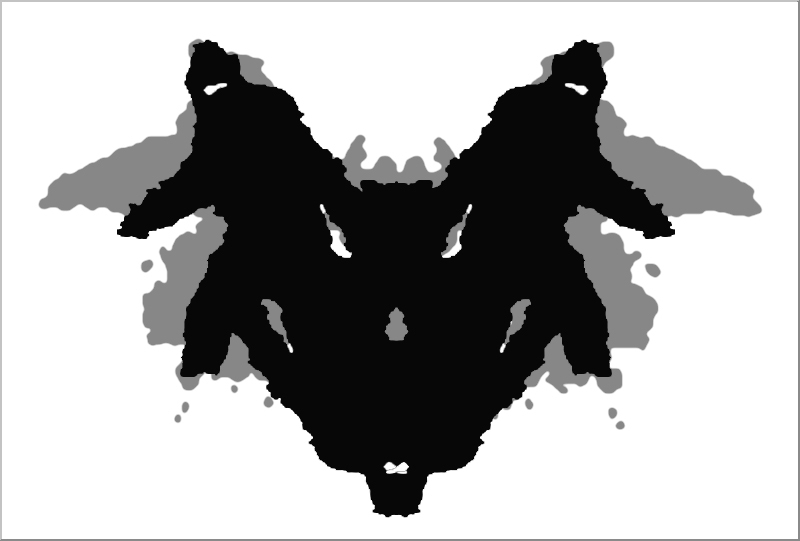 And to Colyer, skepticism about Bigfoot is not only expected, it's a good thing. "Have that skepticism, but have an open mind. Question it, look into it for yourself," Colyer said. KLTV also covered the event. We added their coverage below. Does Bigfoot live in East Texas? TYLER, TEXAS (KLTV) - Tyler's Caldwell Auditorium played host to the 10th Annual Texas Bigfoot Research Conservancy Conference, Saturday. Bigfoot aficionados came from across the country to sort through latest findings and to separate what was fact and fiction surrounding the legend. 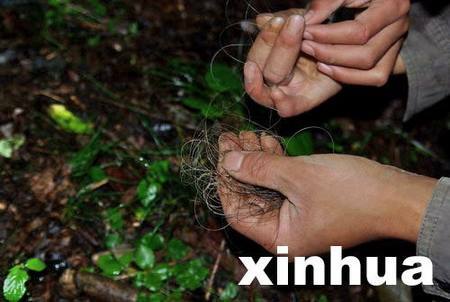 A 44 inch lock of hair was also on display, reportedly found hanging in a tree in the Sabine National Forest. "We certainly think that it lives [in East Texas]," said Alton Higgins, a wildlife biologist. Higgins is also board chairman of the TBRC. He said there have been a number of very credible sightings in the East Texas area, and the habitat is sufficient. 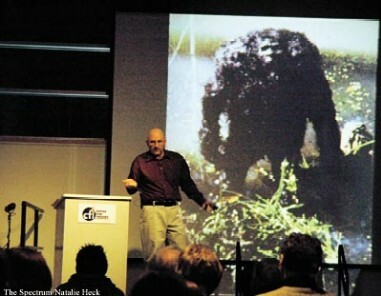 Daryl Colyer detailed his encounter with Sasquatch before an audience of conference goers. Colyer is now an investigator with the TBRC. "It's good to be skeptical about something like this," he said. "We expect people to have difficulty with this, after all, what we're talking about is extremely unusual." Proceeds from the conference go to help the non-profit continue investigating future sightings. Take a journey with us back in time all the way back to December of 2009. 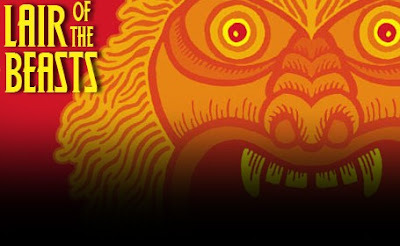 If you click on this magical link you can read all six of our previous Sylvanic Bigfoot Posts. 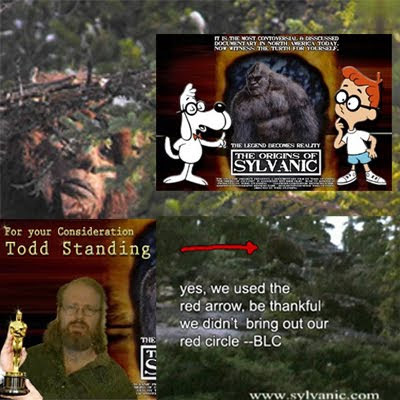 Ghost Theory has an awesome update on Todd Standing of Sylvanic Bigfoot Fame. You can see our previous post awarding Todd Standing an academy award. ...Pictured above, is the latest evidence Mr. Todd Standing presents onto the world. An image of a Bigfoot which he captured in Sylvanic during his 8 days. Todd just returned from an 8 day expedition with incredible Bigfoot documentation. It was a bit of an adventure as he had a confrontation with a Grizzly bear that ended in rescue by RCMP and Search and Rescue after being missing for 3 days. The team and his family are thrilled he made it back safely and he is ecstatic with his new photo and video evidence! 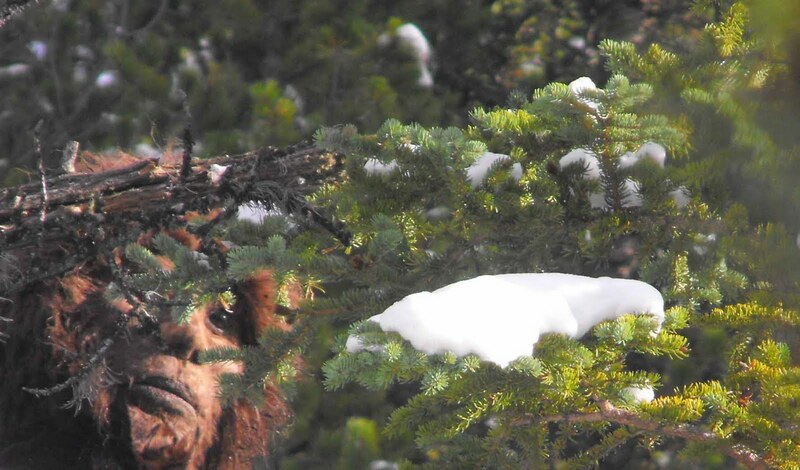 Here is one of the photos where he caught Bigfoot watching him through the bushes~as you can see it was taken in full sunlight with fantastic detail. More will follow shortly; Todd has just returned a couple of days ago and is recuperating with his family. We can’t wait to see his new video! We like to say, "How your peers say what they say, says a lot about what they are saying about you." Then we sit in the lotus position and ponder the infinite reflection of emptiness. Joking aside, we find it insightful when we read what Cliff Barackman has to say about Thom Powell. 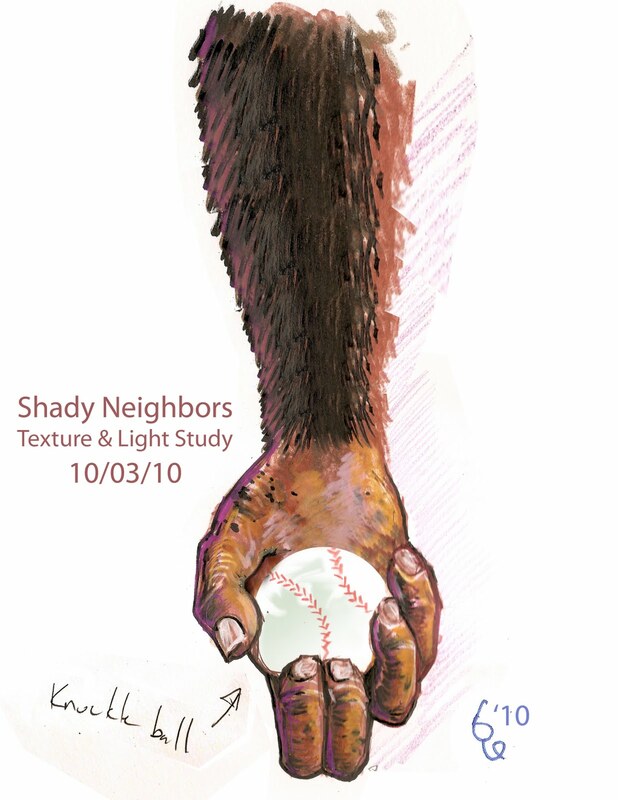 As Bigfoot researchers they are peers in the community, both have slightly different approaches, but, in the end, the same goal. We know if your visiting us you've already been to Cliff's blog, but please visit his site today he has breaking news on the TV show he did with Bob Saget. I was invited to the woods this past week by Thom Powell, author of the excellent book The Locals (scroll down to see the book). Thom thinks outside of the box when it comes to bigfoot research, and his intelligent ideas are always refreshing and fun. Hanging out with him is never dull, and he nearly always has something great up his sleeve. This idea would prove to be in a direction I had never gone. For this excursion, Thom explained that while most bigfooters seem interested in call blasting or playing rather disagreeable sounds into the woods to lure in bigfoots, he wanted to play something totally unoffensive, pleasant, and multi-cultural (quite the understatement when considering the intended audience). He chose the song "Smaointe" by the artist Enya. To further entice the creatures' curiosity, he picked lavender, rosemary, and even sunflowers from his own garden to leave out in conspicuous locations near the camp as gifts for the bigfoots. Again, Thom was looking to leave something that would be interesting to them in ways other than food might be. The herbs made my car smell great, so maybe he's onto something. 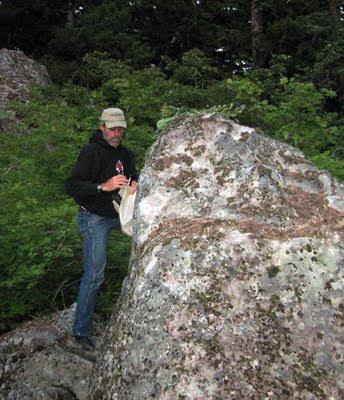 Thom Powell placing a "gift" of garden herbs on a large stone. We travelled into Mount Hood National Forest to a camp at the end of a logging road. 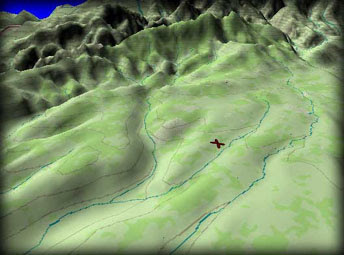 The camp was near a talus slope overlooking a spring. The rocky hillside was perfect for blasting the recordings since it would reflect the sound outward rather than absorb the sound, as happens with trees. Thom left the "gifts" on prominent rock piles near camp. We explored the area and set up our gear utilizing what little daylight we had left. I brought out my "big guns" for this trip, since it was only to be a few hours (I had to work the next day). I brought my 500 watt Yamaha PA system which pumps sound through two speakers with crystal clarity. I set the speakers up with them angled outwards by perhaps 45 degrees in order to create a "big" sound, which can be more important than being just loud. Thom setting up the sound system. Shortly after sunset, we let the diatonic sounds of Enya echo through the countryside. When the six-minute song ended, we started it over again. In fact, we played nothing but that one song for nearly a half hour. 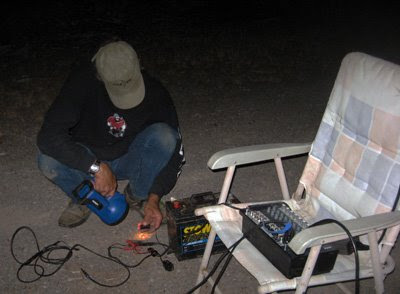 While no bigfoot activity was noticed that night, that does not mean that Thom's experiment was a failure. Thom knows that this is a long-term game plan. He will do this same activity again. He wants the local bigfoots to recognize him by his sounds and his efforts. He hopes that by trying benevolent means to lure the locals in, he will be recognized as benevolent himself. In Thom's words, he is not striving to prove these things are real, he's striving for understanding. An advanced thought, to be sure. What I'd like to suggest to the reader is that everyone should be out there repeatedly trying their own ideas. Sure, learn from those with experience, but as a bigfooter one should try to think about new ways to grab the critters' attention. More importantly, put those ideas to the test. In fact, test those ideas many times before writing them off as not working. 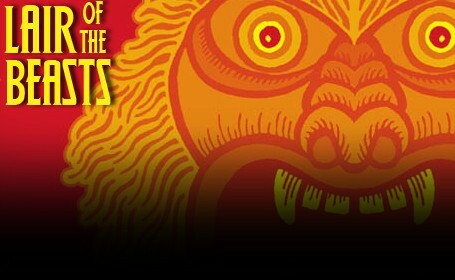 You might get an interesting visit one night, but if you don't, maybe there was no bigfoot nearby at all. Oh, and one last thing. 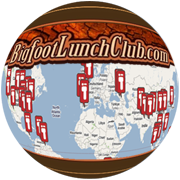 Share your results with other bigfooters so they can try the same methods. They might be able to confirm your findings, and perhaps add to them. That's science, after all. Not sharing your data is, well, like not having any data at all. 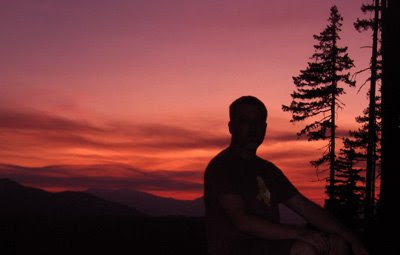 Cliff Barackman enjoying a sunset while bigfooting. Santa Cruz Sentinel does a great job promoting The Bigfoot Discovery Museum's fourth annual Bigfoot Discovery Day on Saturday at both the museum and the Louden Nelson Community Center in Santa Cruz. 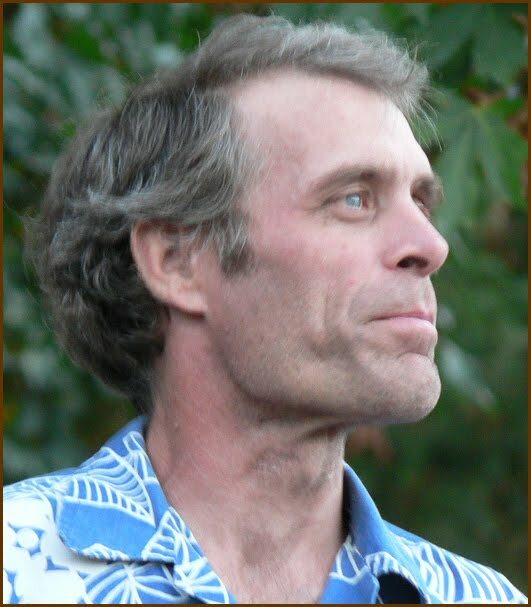 The Bigfoot Discovery Museum was founded by none-other-than Michael Rugg in 2004 following a career as a computer graphic artist and illustrator. FELTON — The memory of his encounter with the large, hairy man along the banks of the Eel River in Humboldt County lay dormant for years — but came back in a flash decades later, while he was reading a passage about a similar encounter. Michael Rugg says he was just a toddler when he wandered off alone on a trail while his parents cooked breakfast at their campsite on the river that early summer morning in 1950. He passed through some brush and emerged onto a sandbar — and that's when he encountered a bigfoot. When he returned to the campsite and told them about the encounter, they reassured him that what he'd seen was likely a homeless man. 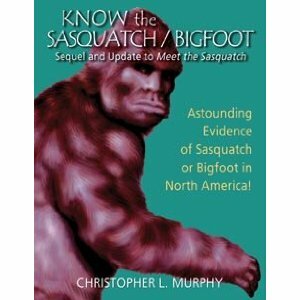 He forgot about the incident until about 20 years later, when a passage in a book about bigfoot sightings prompted the flashback — and helped explain his self-described obsession with all things Sasquatch. 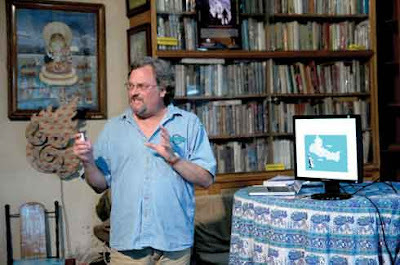 The Bigfoot Discovery Museum, which Rugg founded in 2004 following a career as a computer graphic artist and illustrator, will host its fourth annual Bigfoot Discovery Day on Saturday at both the museum and the Louden Nelson Community Center in Santa Cruz. Activities will include a presentation of evidence — including sound recordings, a large, unidentified tooth and a video clip of an unidentified, bipedal figure — that has been accumulated over the years in communities including Felton, Zayante, Ben Lomond and near the Forest at Nisene Marks in Aptos. Local eyewitnesses will talk about their encounters for the first time in a public forum, while other presentations will explain research methodologies. 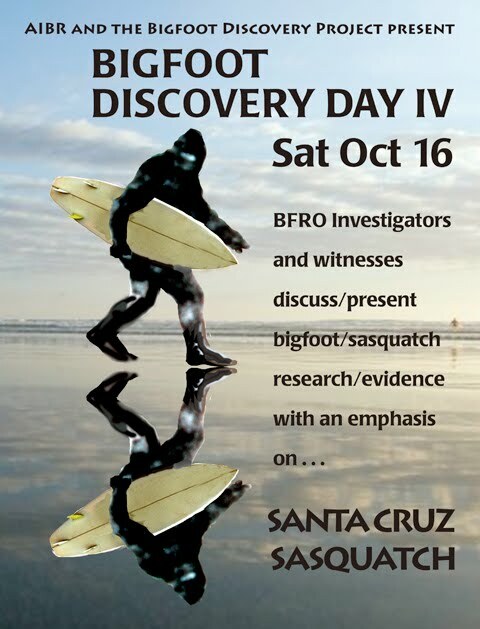 One of the experts expected to attend the event, Bart Cutino, is a longtime researcher with the Bigfoot Field Researchers Organization and Alliance of Independent Bigfoot Researchers. He'll talk about field research he's conducted using thermal imaging devices and recount a sighting near Mount Rainier in Washington state in 2008. “I allowed myself to go ahead and believe my own memory ... It's time for people to realize that there's a lot of stuff going on out there that current science cannot explain,” he said.